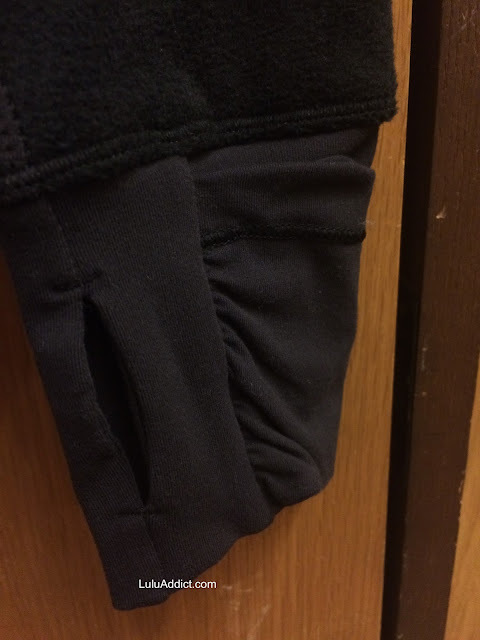 I went to our local "cold weather" store today to check out the Snowballer Jacket in person. Though it doesn't explicitly say so the jacket is sherpa lined. 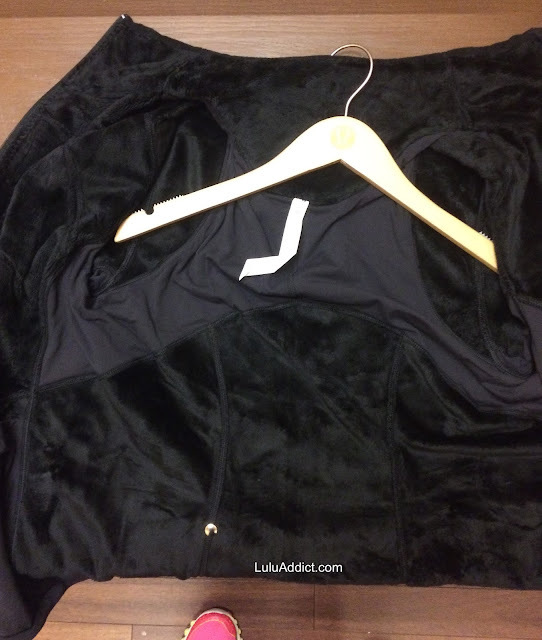 This sherpa is not as thick as used on the Don't Hurry Be Happy (aka, DHBH) and is more like that used in the Post Chaturanga Pullover (PCP). I didn't expect to like this jacket but it's very cute on, not to mention cozy soft. One of the educators said the styling reminded them of a North Face jacket and that was what I thought when I first put it on. 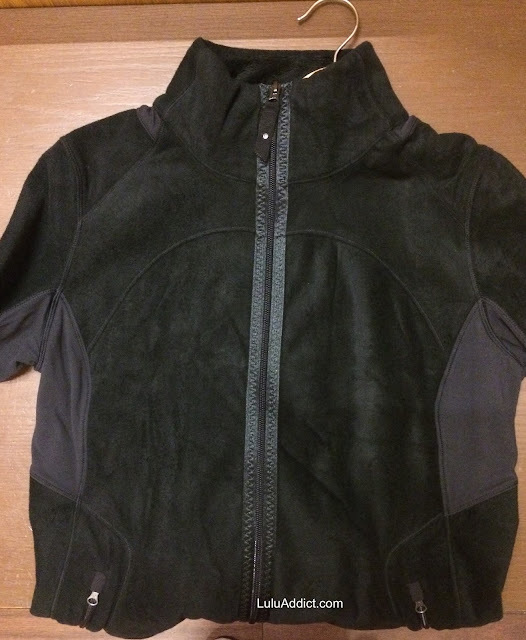 It's a classic-looking lightweight fleece jacket. I was a little concerned that the rulu panel in the upper back would feel noticeably cooler but there is a double layer of rulu in that area so it's pretty warm. A single layer of rulu is used under the armpit and for the cuffins at the wrist. The fit is a roomy TTS. The tallers eds at my store thought it was a little too short for them but it was perfect for 5'5" me. Though I think the price is a bit steep ($148) I did end up coming home with it. 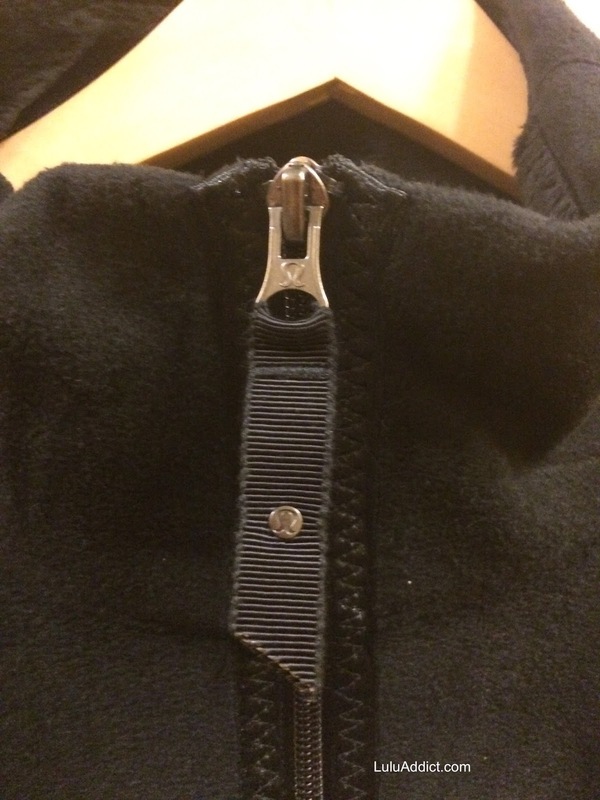 If you like sherpa fleece you should check this jacket out. What is the outside fabric? These photos make it look so cozy I just ordered it. I came home with it unexpectedly too. Fixed all the issues I had with the St. Moritz's lack of fabric flexibility and thumbholes as well as my overheating issue with my DHBH. Educators told me to size up but in the end I took my tts, underarm panels helped it not be too tight. 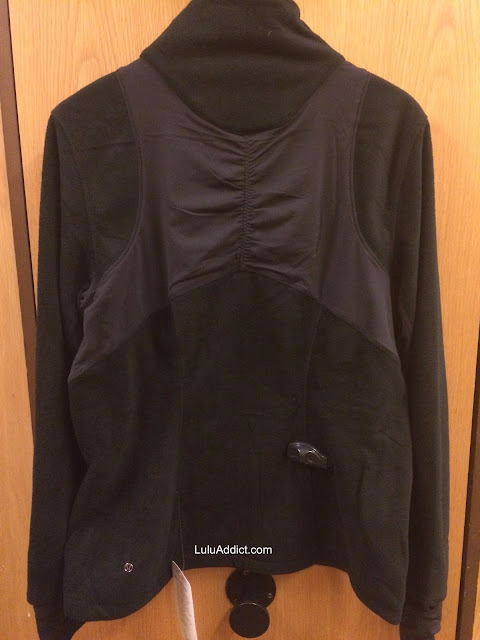 @ anon 7:10 pm - I would call it fleece but it's super soft. @ anon 5:42 pm - $148. It's on the website now. Thanks for all the details. So excited. I ordered it 2 days ago but didn't get to see in at the store. LLA - did you end up keeping this jacket? Do you still love it? @ anon 10:44 am - I did not. I didn't feel it was worth the price. It was on the thin side and I have two other thicker sherpa fleece pieces I can use. I would pick it up on md for a good price, though.